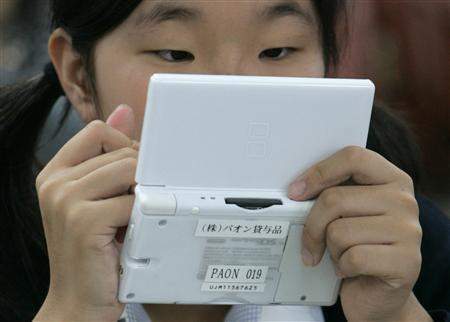 TOKYO (Reuters) – Japanese video game maker Nintendo Co Ltd plans to launch a new model of its DS handheld machine that can take pictures and play music by the end of the year, the Nikkei business daily said on Sunday. The Wii game console and DS have been Nintendo’s twin growth engines, helping its share price to grow more than three-fold over the past three years. The DS far outsells Sony Corp’s rival machine, PlayStation Portable (PSP), globally. But in Japan, the PSP’s unit sales exceeded the DS’s in five consecutive months through July, according to game magazine publisher Enterbrain, in a potential sign of slowing momentum for the current DS model. Nintendo officials were not immediately available for comment.